I’m going to keep this really simple because I, Deanna Dahlsad, have been writing a lot of “about” pages lately and no longer find myself so fascinating. My projects, yes; me, not-so-much. Kitschy Kitschy Coo began six years ago (in 2004), after long conversations between Deanna & Derek Dahlsad. We’ve had several incarnations and reincarnations (the wording of which probably perturbs the atheist, Derek, who affectionately and perhaps ironically in a pop cultural way has dubbed himself Azrael — as in Azrael Brown). After a a few years as a group affair, things dwindled down to the dynamic duo of Derek & Deanna; now it’s mainly just Deanna aka Pop Tart, with the occasional offering from Derek. Hence the greater number of “Deanna” links in the blog’s sidebar. But don’t let the changes in number of authors or tech publishing platforms fool you, we’re still tickling your uglybone with collectibles, culture, & things that make you cringe, with a particular focus on antique, vintage and retro artifacts. We live life as happily married eggheads, obsessing, educating, collecting, mocking, creating, and loving in Fargo, North Dakota (with as many trips as we can back to Wisconsin, where Deanna’s originally from) and raising our egghead children to do the same. If you find us simply fascinating, or peculiar, click the links in this page to find out more about us, follow us, etc. PS While you’re here, check out our “Do Business” page for info on our policies, advertising information, etc. and our sidebar links to find more sites by us and sites by folks who fascinate and entertain us. Just read your lunchbox entry. I don’t know what’s it’s worth to you –but vinyl Sleeping Beauty lunchboxes are on Ebay. I came across your old blog website, and I found a picture of a really cute scarf on there, and I was wondering if you still had the pattern or knew where I could get it. It’s the Girls Cupcake scarf pattern by Jaybird Designs. The post you are referring to has links to the pattern maker; you can find out more information here. 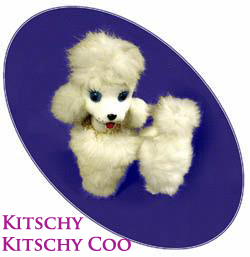 I came up with the name kitschy kitschy coo and started a website – kitschy_kitschy_coo since 2001 or 2002. I had professional web developer work on it in 2003. I wasn’t pursuing kitchy kitschy coo again until 2006. Now I find what looks to be the full website for rent again. Do you own just the blog? If you would share any info to shed light on this, I’d greatly appreciate it. Even my eBay seller name is kitchy_kitchy_coo.com. After a long period of time, I now finally feel very good about starting up again and creating. Thank you. You’re site is wonderful BTW. I wanted my site just like yours but I see now it takes a lot of years. You’ve Inspired me. 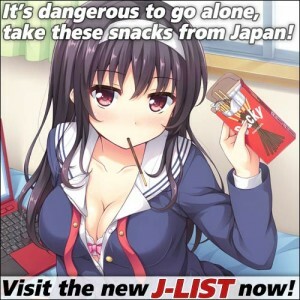 Rosanne, follow the links in any posts. If they are for sale, that’s how you’ll find them!